The College has a well-qualified, experienced and committed teaching staff in the faculties of Humanities, Science and Commerce. To develop overall personality of students, the College has NCC, NSS, Rangers & Rovers units and various societies and clubs. In addition to this, the College has a big play ground for sports activities. The information and Technology Department, H.P. during the year 2008-09 has established a Computer Lab., comprising of 30 latest computers in the College. With the establishment of this lab, the students of the College are going to be enormously benefited not only in acquiring latest information and knowledge but also in acquiring the skills in handing the computers on their doorsteps. To meet the future challenges thrown up by the process of globalization and privatization, the Government has approved BCA under self financing scheme and nine Add on Courses. Out of these, the college has successfully started Computer Application Add on course in the session 2010-11. The college proposes to start BCA and three more Add on courses in Functional English, Tourism and Travel Management and Marketing Management, during the current session subject to timely approval and affiliation by the H.P. University. The BCA will be a full fledged degree course whereas the Add on Courses can be pursued by the College students alongwith their regular bachelor degree courses. In addition, special job oriented courses before and after College timings are also proposed to be launched by Dewsoft, from the current session. 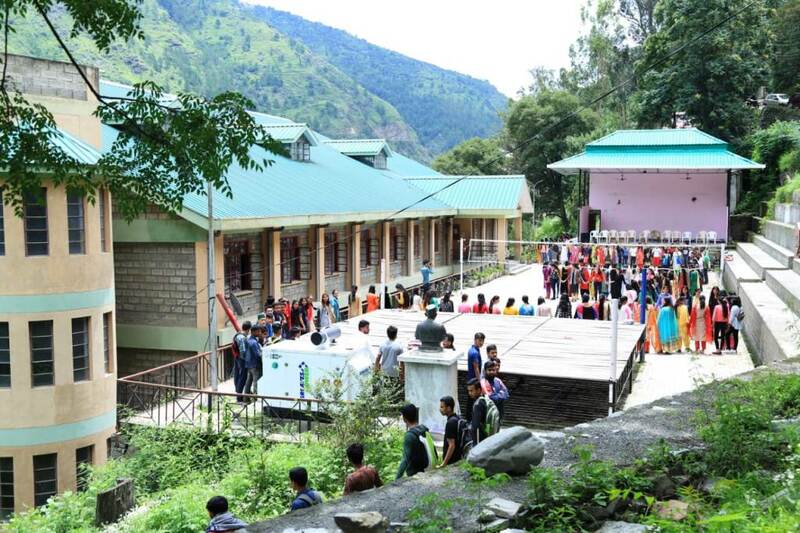 This College is a co-educational Institution, Students come from far-flung areas of not only Jubbal Tehsil but also from the adjoining areas of Uttrakhand. The students are innocent, docile but very hard working and respectful. There were 573 students studying during last year. The students strength is likely to increase during the current session in view of the start of BCA degree course, Add on Courses, Special Job Oriented Courses and additional facilities of girl's hostel in the College. Established in 1986, Lal Bahadur Shastri Degree College Saraswatinagar is celebrating its Silver Jubilee in the session 2011-12. In these 25 years, the college has seen many ups and downs.